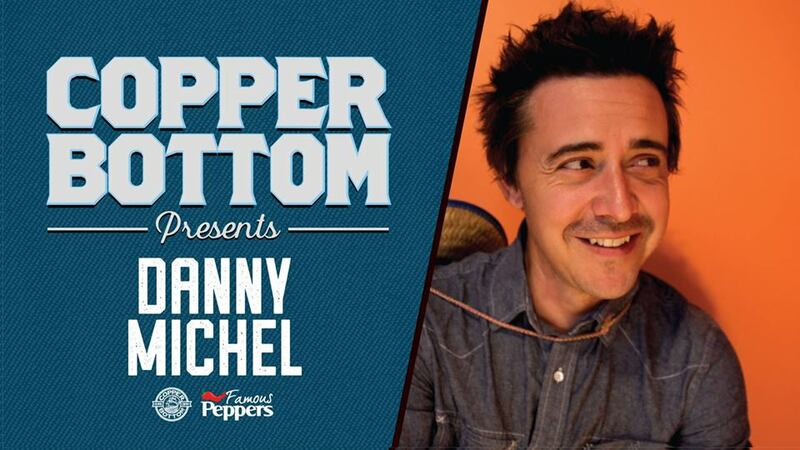 Copper Bottom Presents Danny Michel on Saturday, March 9th. Thoughtful lyrics & charming performances have earned him a devoted fan base, nominations for three Juno awards, The Polaris Prize, and more. Tickets are $25 and can be purchased in the taproom or online via Eventbrite. With two Juno nominations and six solo albums to his credit, Danny Michel is one of the finest and most charming songwriters to grace the stage. His honest and straight-forward lyrics, earnest live performances and witty stage banter have earned him a devoted global fan base. If you’ve seen Danny live in concert, you’re probably already a fan. If you haven’t, you are missing out on "one of this country’s undiscovered musical treasures." No refunds or exchanges on tickets. Doors open at 6:30PM. Thank you to our sponsors, Famous Peppers & Awakenings Inn!